The 2016 MTV Video Music Awards nominees were announced Tuesday. 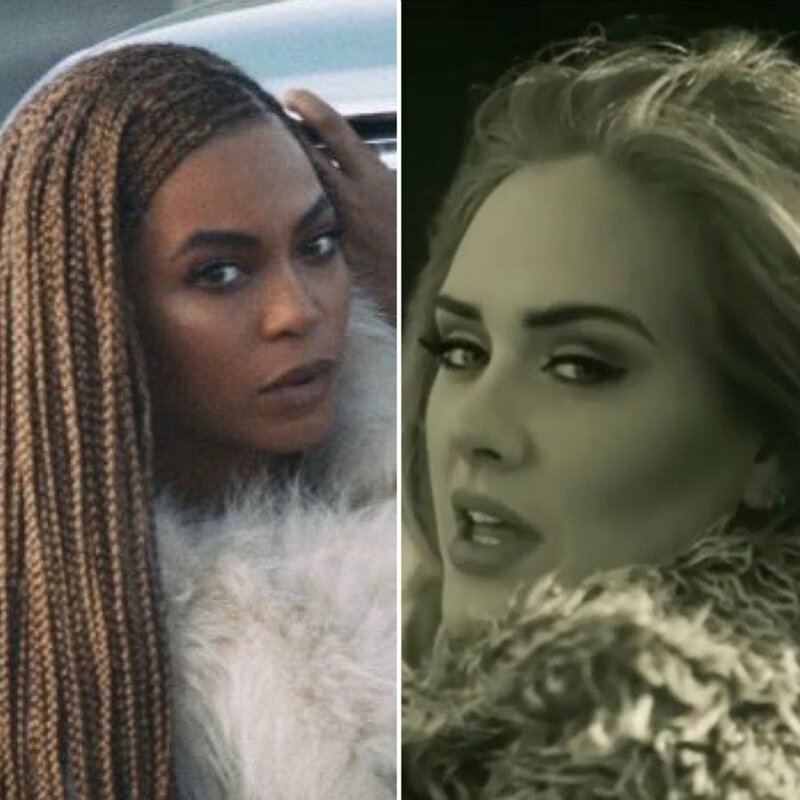 Beyoncé is the leading artist, with 11 nominations for her visual album “Lemonade”, followed by Adele, who got eight nominations, seven which are for her “Hello” video. The nominees for the annual MTV VMAs were revealed and included the most praised music videos of the last year. Nominees for the most important accolade of the night, Video Of The Year, were revealed with a painting of the artists onto a panoramic mural in New York’s East Village. They included Drake for “Hotline Bling”, Adele for “Hello”, Beyoncé for her passionate performance of “Formation”, Justin Bieber for his viral video “Sorry”, and Kanye West for his controversial “Famous” video, which he premiered barely a month ago. Beyoncé broke her own personal record, earning 11 nominations this year, thanks to her critically acclaimed visual album “Lemonade”. “Formation” got nominations for Video Of The Year, Best Pop Video, Best Choreography, Best Cinematography, Best Editing and Best Direction, which would be a merit for Beyoncé’s long-time collaborator Melina Matsoukas. “Hold Up” is nominated for Best Female Video and Best Art Direction, while “Sorry” will also be competing for Best Choreography. “Freedom” features rapper Kendrick Lamar, and is nominated for Best Collaboration. Finally, the whole “Lemonade” masterpiece is nominated for the newly-created category Breakthrough Long Form Video. After four years of absence, Adele returned in October 2015 with “Hello”, the single from her third album “25”, which she released a month later. The internationally acclaimed single came along with a monochrome music video directed by Canadian Xavier Dolan and co-starred by Tristan Wilds. Identified by its retro style and a single flip phone, the video earned nominations for Video Of The Year, Best Female Video, Best Pop Video, Best Art Direction, Best Direction, Best Cinematography, and Best Editing. “Send My Love (To Your New Lover)” got the singer her eighth nomination for Best Visual Effects. Other nominated artists for this year’s VMAs include Ariana Grande with her themes “Into You” and “Let Me Love You” featuring Lil Wayne, Sia’s “Cheap Thrills”, Mike Posner’s “I Took A Pill In Ibiza”, and Calvin Harris for “How Deep Is Your Love” and “This Is What You Came For” featuring Rihanna. The Barbadian singer got nominated for the international hit “Work”, in which Drake collaborates. Nominees for Best New Artist are rappers Bryson Tiller and Designer, Swedish singer Zara Larsson, Danish pop band Lukas Graham and Joe Jonas-led pop rock band DNCE. Nominees for professional categories, such as Best Editing or Best Visual Effects, also included FKA Twigs for “M3LL155X” and Zayn’s “PILLOWTALK”. The ceremony for the 32nd annual awards will be celebrated at the Madison Square Garden on Sunday, August 28, airing live since nine p.m. ET/PT.